A new augmented reality app could easily answer that perennial baseball question of "who is on first?" and a whole lot more for fans at the ballpark. 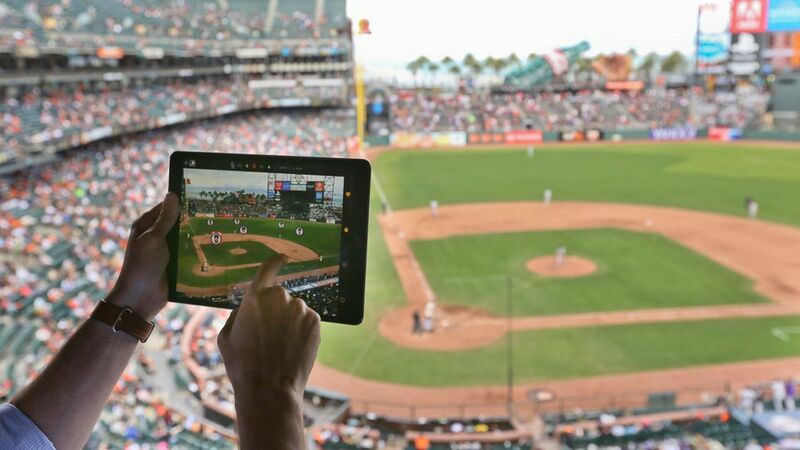 What's happening: Major League Baseball is testing a number of ways it can incorporate AR into its apps from labeling player positions to serving up relevant stats to showing fans how much ground an outfielder could potentially cover on a fly ball. Axios, along with a couple other publications, got a sneak peek at a San Francisco Giants-Colorado Rockies game last week. What we saw: What the league had to show wasn't ready for prime time, but it wasn't meant to be. The league's goal is to have something ready in time for the first pitch of next season. Before then, the league's tech arm will have to speed up the delivery of data considerably as well as figure out how to make the AR experience something that complements, rather than distracts from, the live action. The backstory: MLB has been working on this since Apple announced ARKit in June. The secret sauce: ARKit is one component, but there is another piece of technology that makes this possible, something known as Statcast. Powered by an array of radar and optical sensors installed in each major league stadium, Statcast offers up an array of data for a variety of uses.